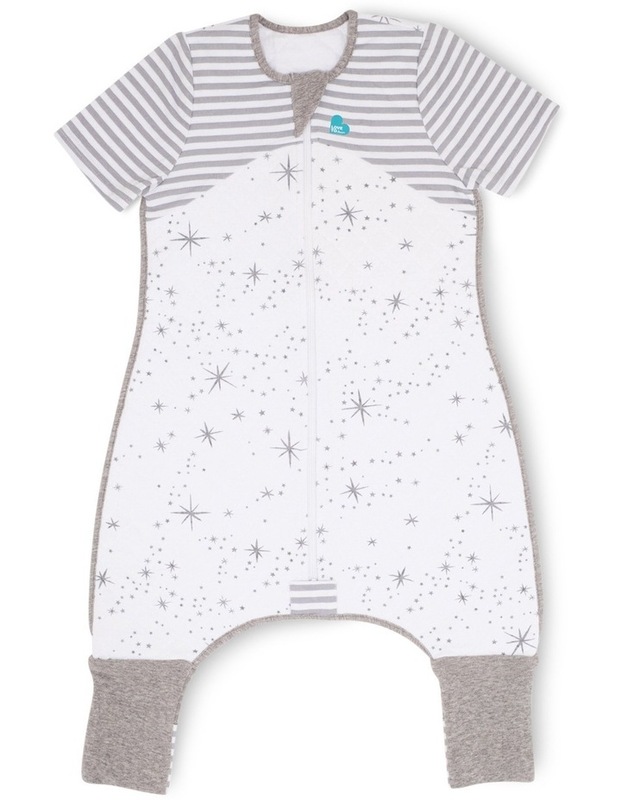 Love To Dream Sleep Suit 1.0 TOG is a premium Sleep Suit with legs & convertible feet. This onesie style sleeping bag has short sleeves and a built-in quilted blanket for moderate temperatures. Versus traditional sleeping bags, this Sleep Suit allows for additional mobility & freedom, therefore making it a safer, more versatile alternative for your little mover & shaker. 100% Cotton Outer & Lining with Polyester Fill. L40 08 081 WH 6M.